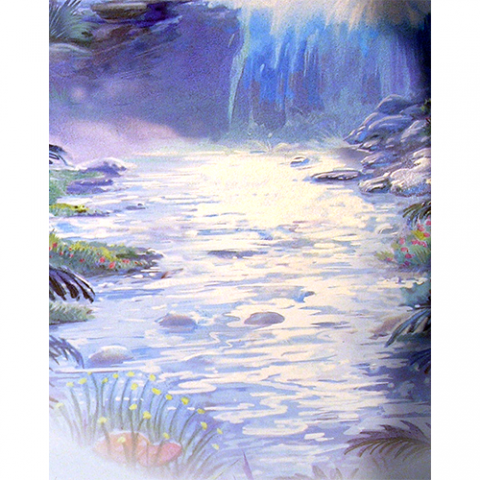 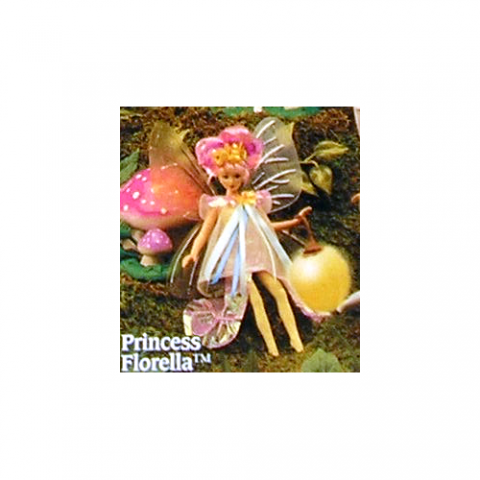 The mystical power of water-magic flows all around this playful fairy! Skimming lightly across the rippling stream, Princess Florella draws her magical powers from the watery depths. As easily as a human dives through water, Princess Florella swims through time! If you’re quick enough to catch this graceful fairy, she’ll grant you a single wish! 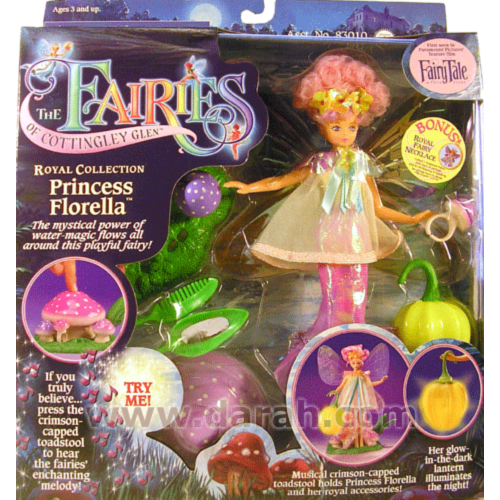 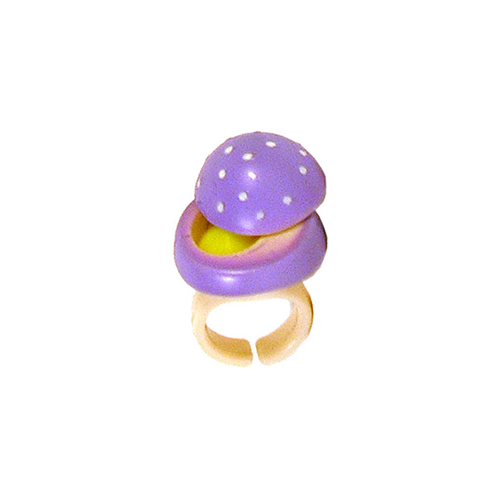 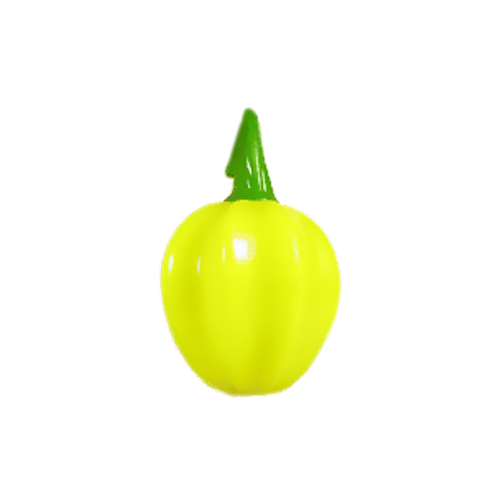 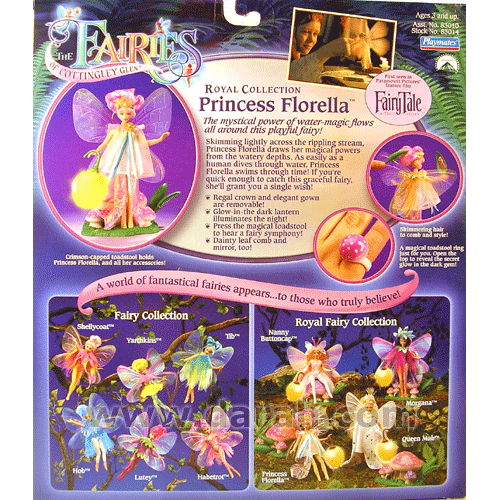 Description: Princess Florella has a yellow-glitter bodysuit and short, curly, pink and purple hair. 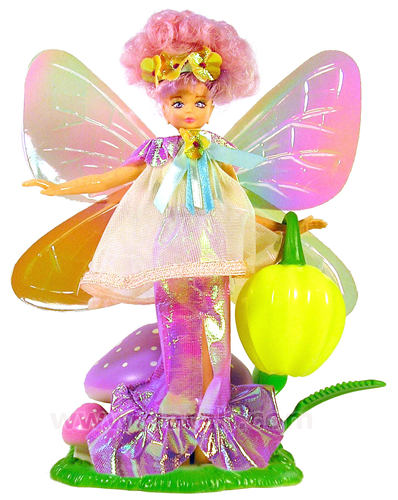 She comes with wings, flower headdress, gauzy dress, shimmery underskirt, glow-in-the-dark lantern, ring with hidden glow-in-the-dark ‘gem’, and a dark pink mushroom-stand with comb and mirror that makes a ‘magic’ noise when activated.